A flooded basement hits like an oncoming train. Whether the problem stems from a broken pipe, failed sump pump or the result of a heavy downpour that found its way inside, a flooded basement needs to be dealt with immediately to prevent long-term damage. When dealing with basement floods, there are some things you can and should do immediately, some things you might want to consider doing in the future and times when you should really call in the Master of Disaster at ServiceMaster of Columbia! Is there a risk of electrical shock? If it’s safe to access the main breaker box, turn off the power before you enter the basement. If the breaker box is located in the flooded basement, contact your local power company or a trusted electrician to help first. Gas leaks are deadly and dangerous. If you smell gas, get out of the house and alert your utility company. Sewage, chemicals and other pollutants in flood waters pose a health risk to humans and animals. Avoid contact with contaminated flood water and any items that may have been in contact with contaminated flood water. Is the flooded basement still structurally safe? If there is any question regarding the structural integrity of the flooded basement or the house above it, do not enter. Call for professional help. If it’s safe to enter, there are several things you can do to begin cleaning up your flooded basement. Before you dive in, remember the first rule is always safety. Wear protective clothing, safety glasses and gloves as you clean and inspect the basement. Make sure the space is well-ventilated, which also speeds the drying process. The quicker your personal items can be removed from water, the better the chances for repair and restoration. You need to get items out of the basement and dry off any remaining dampness to reduce the likelihood of mold growth. If the water is just a couple inches deep, you may be able to remove it using a wet/dry vacuum or portable sump pump. Both of these items can be rented rather than purchased. If you’re wading through several inches of water or more, though, you’ll likely need to call in professionals like those at ServiceMaster of Columbia. Any area rugs need to be removed and dried out immediately. If possible, hang area rugs outdoors to dry or opt for a professional cleaning. If the basement was carpeted, you may have to remove the carpet. Water can damage not only the carpet fibers but also the glue, backing, padding and underlayment, leaving the carpet at higher risk for mold. However, do not attempt to remove tacked-down carpeting yourself, leave it to the professionals. To prevent the development of mold after a basement flood, it’s essential to keep the level of humidity as low as possible. If the weather is favorable, open any and all windows you can, then run a dehumidifier and fans to increase ventilation and lower the humidity levels. After the water is extracted and the basement thoroughly dried, the whole space needs to be cleaned and disinfected. Carefully wash and sterilize anything the flood waters touched that you were able to salvage. As each item is removed from your flooded basement and treated for water damage, add it to an inventory list. Keep a record of all the details regarding what was damaged in the flood, and hold onto estimates and receipts from any restoration or repair procedures. These documents will support any insurance claim you plan to make. ServiceMaster of Columbia has been helping homes and businesses cope with water damage for years. 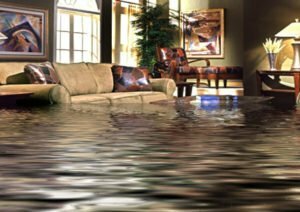 When your basement floods, contact the Master of Disaster at ServiceMaster of Columbia to handle the water extraction, drying and any necessary mold remediation.